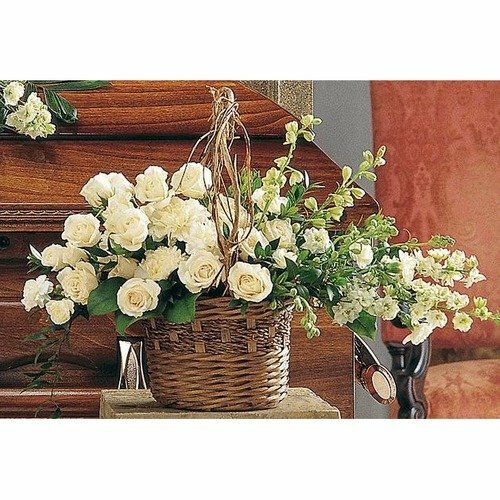 This delicate wicker basket filled with beautiful white Carnations, Larkspur and Roses. will surely spread some light to those you're thinking of. Perfect for the service or the home. * Fantastic service every single time - great products and great prices and always delivered on time. * A convenient way of sending flowers overseas. Prices seem reasonable compared to local vendors. Delivery has always been on time. * I'm amazed with your fast, easy and convenient order and delivery customer services!!!!! !